with time they will become alive just like regular LR. I'll get a few small pieces of LR to kick started. looks like you've got some nice branching pieces there :b6: , looking forward to seeing this tank setup, keep us posted. Some of it will be in a cycling bin starting next mondayweek , ready for the tank when completed. 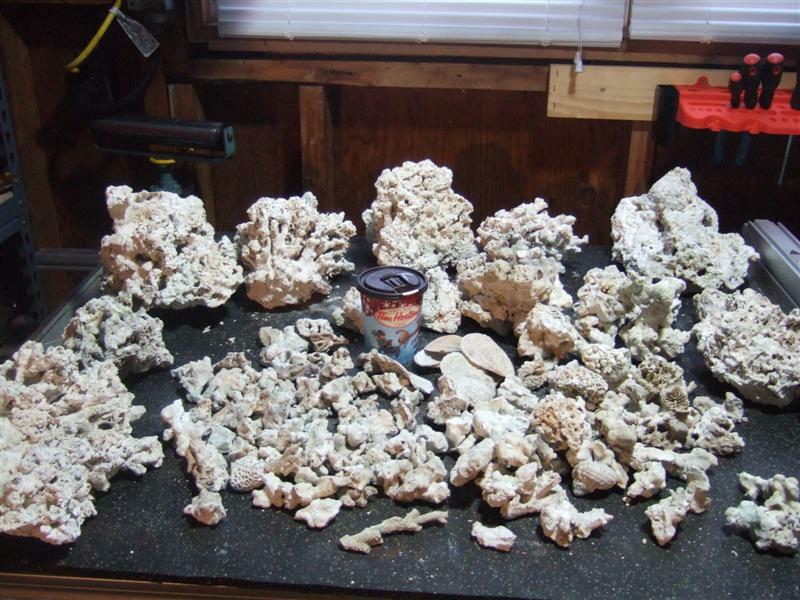 In my older setup i had about 10 pounds of dead base rock. It eventually became life, full of worms coraline ect. How to reseed dead live rock?